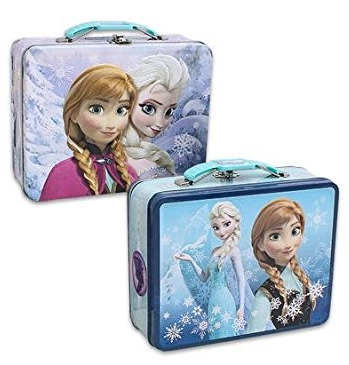 Disney Frozen Embossed Tin Lunch Box For Only $6.64 + FREE Prime Shipping! You are here: Home / Great Deals / Amazon Deals / Disney Frozen Embossed Tin Lunch Box For Only $6.64 + FREE Prime Shipping! Calling all Frozen fans – check out this fabulous deal! Get this Disney Frozen Embossed Tin Lunch Box for just $6.64! And, you’ll get FREE shipping with Amazon Prime or Super Saver Shipping! My daughter has lunch boxes like these, and she LOVES them! She carries all her little toys around in them!